kayas-âgo, panoramic installation view, 32' x 20' . kayas-âgo: L. Little Bear, 36" diameter. kayas-âgo: N. Morrisseau, 36" diameter. kayas-âgo: Left Corner: R. Hill, 24" diameter; Bottom: L. Riel, 24" diameter; Right: We Own Ourselves, 12" diameter. kayas-âgo: L. Riel, 24" diameter. Photo: Kelly Henson. kayas-âgo: Left: M. Nogha, 24" diameter; Right: Not Even, 12" diameter. Photo: Kelly Henson. kayas-âgo: A. Malbeuf, 24" diameter. Photo: Kelly Henson. kayas-âgo: Left J. Bennett, 12" diameter; Right: E. Malbeuf, 12" diameter. Photo: Kelly Henson. 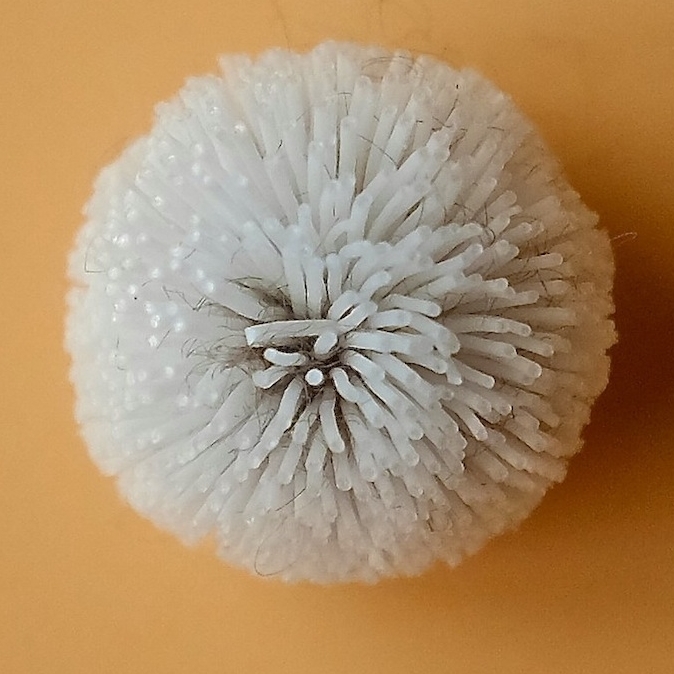 kayas-âgo: J. Bennett, 12" diameter. Photo: Kelly Henson. kayas-âgo: J. Malbeuf, 24" diameter. Photo: Kelly Henson. kayas-âgo: A. Okrusko, 24" diameter. Photo: Kelly Henson. kayas-âgo: R. Wagamese, 36" diameter. Photo: Kelly Henson. 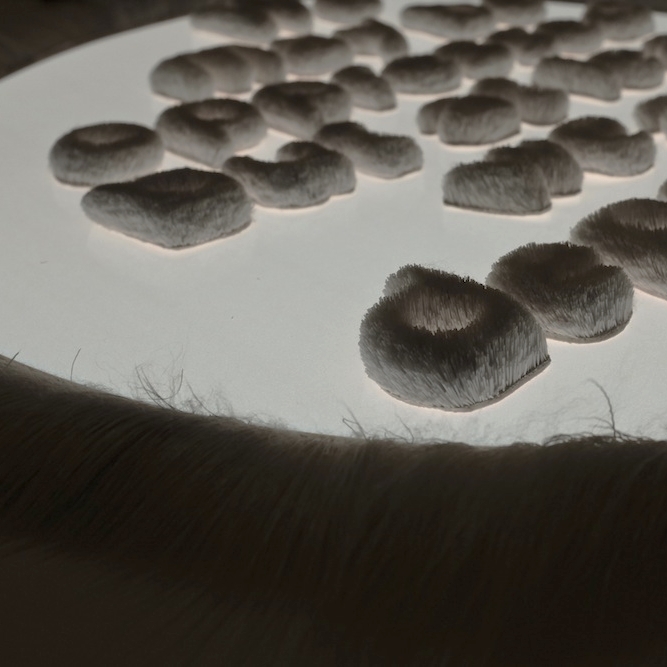 Installation of sculptured and tufted caribou hair on 18 light panels, 2014.